To maintain the highest standards and provide the highest quality of orthodontic care to our patients. We will strive to do this in a friendly, customer service-oriented and Christian environment. We are proud to offer the latest in orthodontic technology in all procedures. Dr. Berky is directly involved with numerous professional organizations and all staff are trained in the newest developments, after we test them to ensure that we are only providing you with the very best treatments available. We use a mix of state-of-the-art technology and outstanding customer service to see that your total experience is a comfortable one. We also provide technology and treatments that no other practice in the Triad area provides, including SureSmile® and i-CAT®, which gives us 3D imaging of your teeth. Dr. Berky keeps a warm and inviting office where the staff are always having fun. He truly enjoys his job and his patients feel this from the moment they pick up the phone to make that first phone call. They will notice the value the staff places on them and the respect we pay to each patient. When you come to us, we want you to feel relaxed and at ease the entire time. This begins in our spacious and cozy office reception area and extends back into the procedure rooms, where all the magic happens. We will make every effort to see that your total experience is a good one. We believe our work is vital for happy and healthy living, and that money should not be a deciding factor in the quality of orthodontic care you receive. Our financial team will work closely with your insurance provider and you to find you all the funds available, and will discuss fees and payment options before treatment begins. We have payment plans to suit many different budgets. 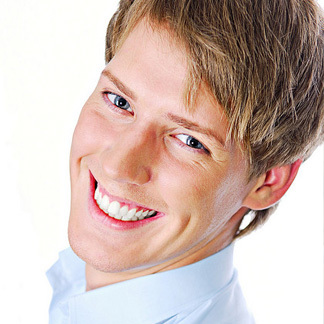 Affordable braces are convenient and achievable for everyone at our office. We believe that your treatment should not hold you back from doing the things you want. Instead, it should increase your ability to enjoy and take advantage of all life has to offer. We offer appointments on alternating weekdays and make every effort to be on time for you. We will make time for you so you can receive the best treatment possible with the smallest impact on your life outside of our office. We understand that sometimes situations pop up during treatment that require emergency care. We have found that true orthodontic emergencies are rare, but because they happen, we are always available to help resolve the situation. We will always be able to schedule an appointment swiftly to fix the issue. You may be pleasantly surprised to learn that many problems may be temporarily solved until you can come into our office to more permanently repair the problem. You do not have to wait in pain until you can come in. Berky Orthodontics is excited to announce Right Now Media at Work as a key partner. Through Right Now Media at Work, BriteBee hopes to provide additional value to agents on the Berky Orthodontics platform, within and outside of their work lives. At Berky Orthodontics, we know everything in our business and in our lives is a gift. At the end of the day, relationships are everything and all that matters is how you treat people and how you impact the lives of others. It’s part of our calling as leaders and followers of Christ. So, when our Berky Orthodontics team found a like-minded organization focused on encouraging others daily and in all aspects of life, our team recognized the value of Right Now Media @ Work. There’s only so much you can offer during work hours and life doesn’t stop when work ends. Every day, people face any number of struggles from marital and parenting stress to financial burdens and personal addiction, all of which influence their work. Better life at home fuels better performance on the job and that’s where RightNow Media @ Work can help. With its vast library of faith-based content, Berky Orthodontics can watch inspiring leadership content from experts like Patrick Lencioni, John Maxwell, and Dave Ramsey. But that’s not all. RightNow Media at Work is designed to be a resource for business men and women to thrive in the midst of life’s most pressing issues. Like health insurance or wellness programs, this service is an added benefit for your team. Every business needs motivated, loyal, and distraction-free employees. With RightNow Media at Work, leadership growth, team chemistry, and a positive home life are only a click away with RightNow Media at Work.